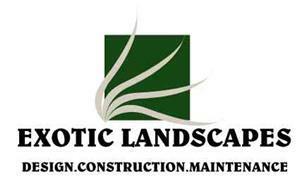 Exotic Landscapes Ltd - Driveways/Patios/Paths, Fencing/Gates, Landscaper based in Bracknell, Berkshire. If there is any work you require in your garden, Exotic Landscapes is the company to help. We offer a complete multi awarding winning design and build service, using the latest low maintenance products installed to the highest Standards. We are very flexible, and can work with you however you prefer, either bringing your own ideas and dreams to life, or alternatively helping you create a design to make your garden look its best, we are also happy to work alongside your chosen garden designer. All work on your project is bespoke and tailored to suit your individual taste and budget and covered by our Guarantee. 6 Times winner of Marshall's regional awards with 2 projects featured in the Marshall 2017 brochure. · Hard/softwood and composite decking.